Office 3.68m (12'1") x 2.93m (9'7") Two skylights, double glazed window to front and electric storage heater. 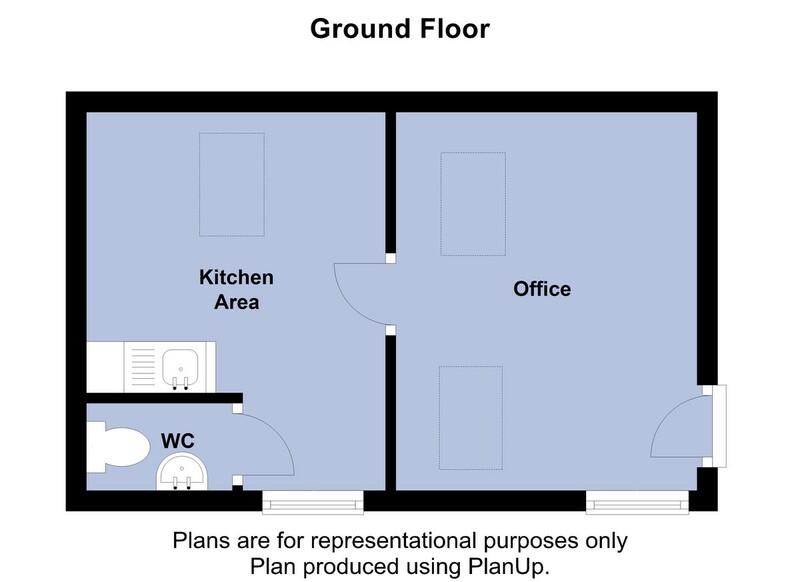 Kitchen Area 3.68m (12'1") x 2.91m (9'7") Fitted with a matching range of base and eye level units with worktop space over, stainless steel sink, skylight and double glazed window to front. WC Fitted two-piece suite comprising pedestal wash hand basin and low-level WC. Outside There is one allocated parking space in the communal parking area. Directions Turning right out of our High Street office, bare right onto Park Street.